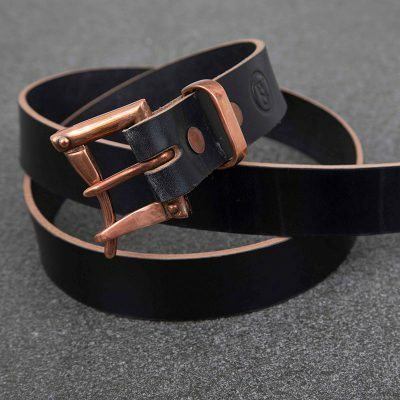 Designed to embrace function and quality, this belt is constructed from 10oz English bridle leather, tanned slowly with tree bark and dressed with oils and waxes. 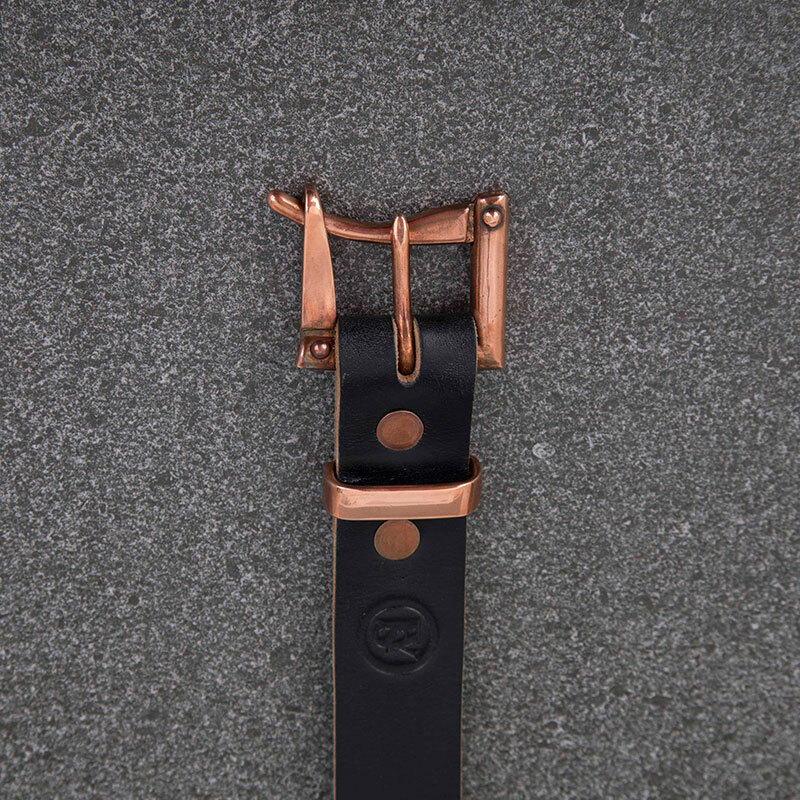 Features a copper plated brass quick release buckle along with brass keeper and solid brass rivets. 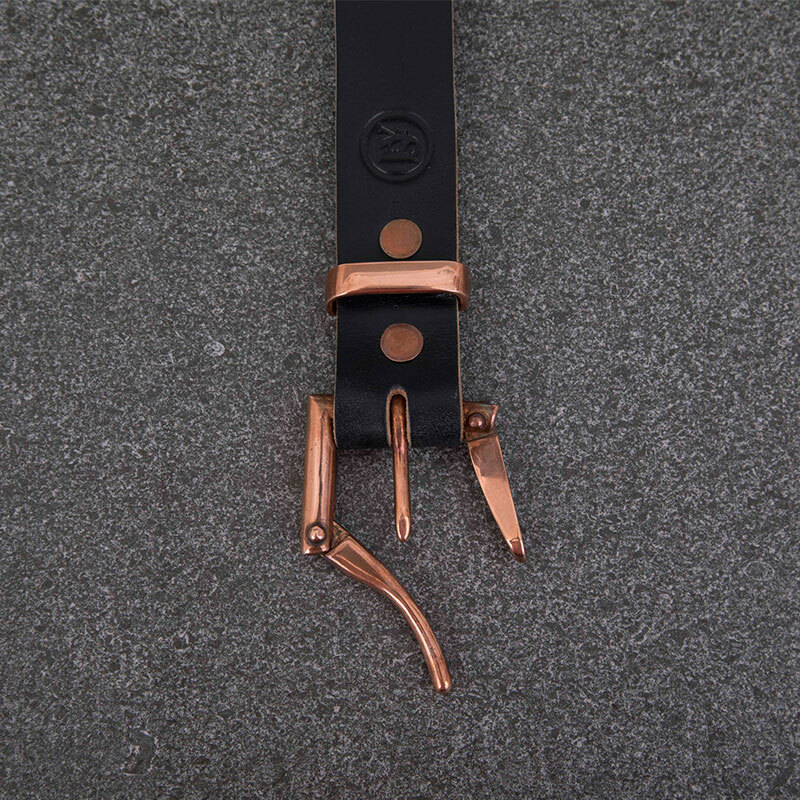 All hardware is forged in England. 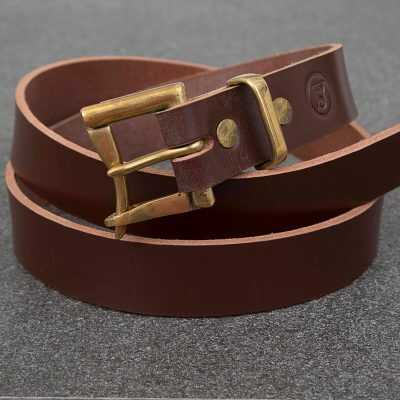 A characteristic of bridle leather is the wax that is applied during the tanning process which you may see when you receive your belt. Use the sheeps wool provided to gently buff the wax into the leather. 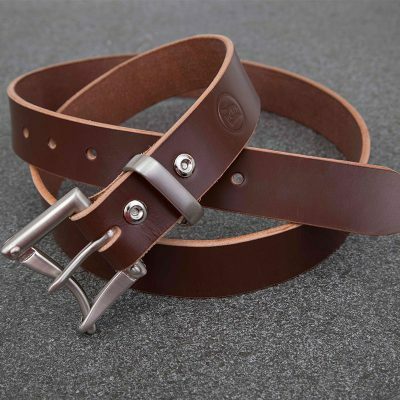 The belt is 1.25″ wide to comfortably fit standard belt loops and is embossed with the JSY-Leatherworks makers mark. Designed to last, this belt will only get better with wear and will develop it’s own unique characteristics. 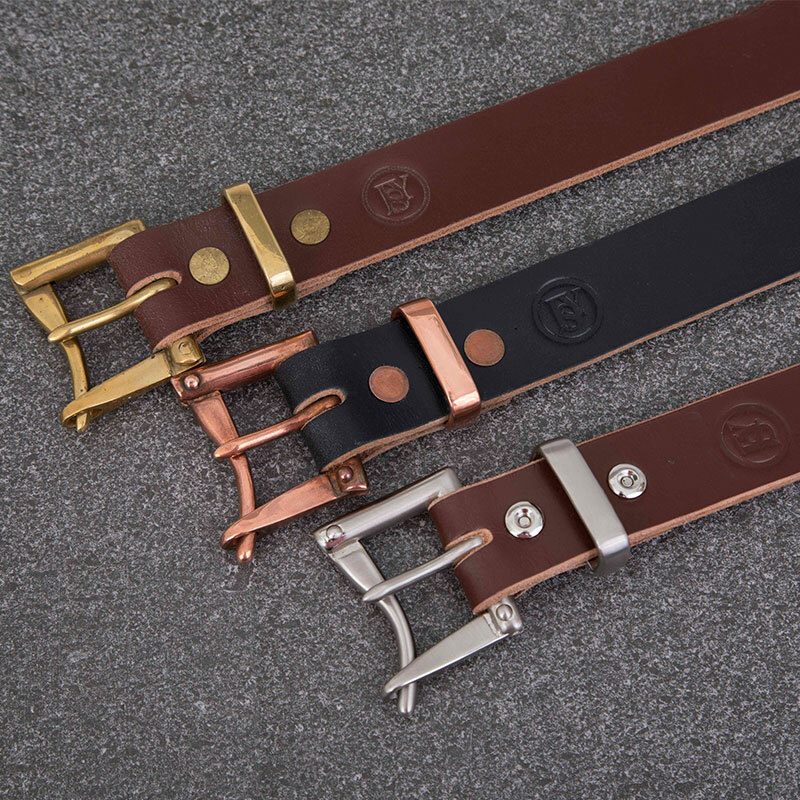 If you would like your belt personalised with your initials (2 letters) please select the option below. Presented in a handmade calico bag.